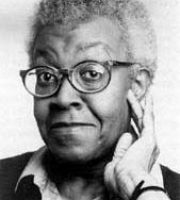 Best poems of Gwendolyn Brooks. She was an American poet and writer. She was the first black person to win a Pulitzer prize for her second collection, Annie Allen. Her poems ranged in style from traditional ballads and sonnets to poems using blues rhythms in free verse. She was appointed Poet Laureate of Illinois in 1968, a position she held until her death.